Learn the rules for collecting unemployment. The North Carolina Employment Security Commission, commonly called NCESC, is a government organization that provides assistance to individuals in the state who are seeking employment, unemployment compensation or other services. The NCESC provides aid to both businesses and individuals. It also educates the public on the current state of the North Carolina labor market. Individuals in need of any of the following services can visit the NCESC website to find contact information and resources. The NCESC provides resources to those who live or work in the state of North Carolina. Individuals may obtain most of the information and resources they need right from the website. Unemployment Registration: If you have lost a job, through no fault of your own, you may qualify for unemployment benefits through the NCESC. You can apply for unemployment benefits, file your weekly certification (a requirement) and apply for an unemployment extension program online. You can also learn about how much in benefits you qualify for by using the benefits estimator on the website. Find a Job: Although the NCESC does not list every job available in the state, it does provide a regularly updated listing of job openings in North Carolina. Individuals can find both state and non-state jobs here. Get Training: State sponsored job training is another resource to individuals living in the state of North Carolina. Reemployment services and benefits include NC Stars which is a cost effective way to obtain training for employment. In addition, the NCESC also provides career planning information and resources, including interview tips. Veteran Aid: Veterans of the United States Armed Forces are entitled to specialized services and aid. Local veteran employment aid is available through the NCESC. In addition, training is available for veterans as well. 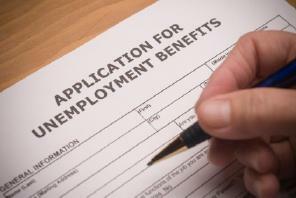 Unemployment Insurance: The NCESC also provides unemployment insurance to qualified individuals. You can view the eligibility requirements, establish a claim and even appeal the decisions made right on the website. The North Carolina Employment Security Commission also provides aid directly to business owners. Businesses interact with this organization in a variety of ways. Like individual services, most of the forms and resources needed by business owners is available at the NCESC's website. Existing Business Aid: For businesses already in existence in the state, individuals may obtain a variety of resources. This includes being able to find employees and to obtain secured services. New Business Aid: The NCESC provides aid to new businesses. On the website, you can apply for unemployment insurance tax accounts right online. Other services may be available to new businesses as well, especially help with finding employees. Unemployment Insurance Resources: Obtain necessary unemployment insurance documents, file claims for employees and obtain tax information as needed. Claims information is available on the website. Save Money Tools: Small and large businesses may qualify for tax breaks, work opportunity tax credits, personnel consultations and 100 Day No Fault Guarantee services. To learn about eligibility requirements or to file a claim, visit the organization's website. The North Carolina Employment Security Commission provides a great deal of resources online. It also offers services for taxation and property owners on its website. Learn about foreclosure help in North Carolina. File quarterly taxes and wage reports directly on the website. View form 1099-G from the state. Learn about the current jobs available through North Carolina government offices. Apply for a UI Tax Account Number directly on the website. Learn about the options in educational opportunities for unemployed workers through Pell grants available. Download critical forms for application. In addition, information about debit cards, debit card fees, direct deposit and secured services available through the NCESC are available through the organization's website. This includes services for individuals (for unemployment compensation) and for businesses. Anyone employed in the state of North Carolina may benefit from the resources available through NCESC. View the NCESC Contact Page to find local offices or to obtain toll free phone numbers for service.